Successfully monitoring web API performance improves business partner integration, boosts mobile performance, and ensures the successful integration of enterprise applications. Yet some of the most common web monitoring practices fall short of pinpointing issues with web APIs such as REST or SOAP. Discover how you can master your web API performance in a live webcast led by Dell Software web performance experts John Spirko and Rob Dickinson, with special guest Andy Wahrenberger, Operations Architect for Dell.com's DevOps core. You'll see why common web monitoring practices fall short of pinpointing API issues, and learn effective alternatives to ensure your current monitoring of APIs is adequate. 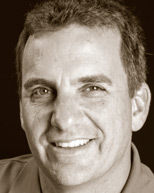 John Spirko has been a Senior Product Manager for Dell Foglight since 2001. His responsibilities at Dell focus on providing requirements and direction for a suite of products that map business objectives to end-user behavior. John has more than 12 years of industry experience as a software engineer, developer, DBA and system consultant. He has delivered presentations on end-user monitoring and related topics throughout the U.S. for the past six years. John holds a B.A. degree in electrical engineering from the New Jersey Institute of Technology. 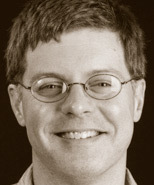 Rob Dickinson is a Director of Software Development, and Java and database architect at Dell. He has extensive experience building and delivering very large scale OLTP and OLAP applications, primarily for startup companies with emerging products. He is an architect for Dell's patent pending TransactionDNA technology. His specialties include Java, J2EE, JBoss/WebLogic, Ant/Junit, XML/XSLT, JDBC/ODBC, MySQL, MS SQL Server, PostgreSQL, Oracle, Groovy/Rhino and JSP/Struts. Rob holds a B.S. degree in electrical engineering with a specialty in digital design. His interests include concurrent programming, distributed systems, and web technologies. Andy Wahrenberger is a Senior Application Infrastructural Architect at Dell. As operations architect for Dell.com's DevOps core, he is responsible for the adaptation of various applications into a highly available, 24x7 architecture and guiding the design and continual improvement of one of the world's largest multi-datacenter, global eCommerce sites. 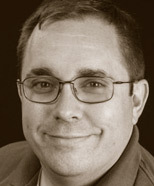 Andy is responsible for application hosting strategy, encompassing network, compute and storage infrastructure, operation procedures, performance and monitoring. He has 20 years of experience in architecture, implementation, deployment, and performance tuning of large-scale applications, primarily integrating Microsoft .NET technologies into existing infrastructure or other applications. Prior to Dell,com, Andy has contributed his web expertise to Progressive.com, Nationwide.com, NationalCity.com, StateFarm.com, and Xiameter.com.